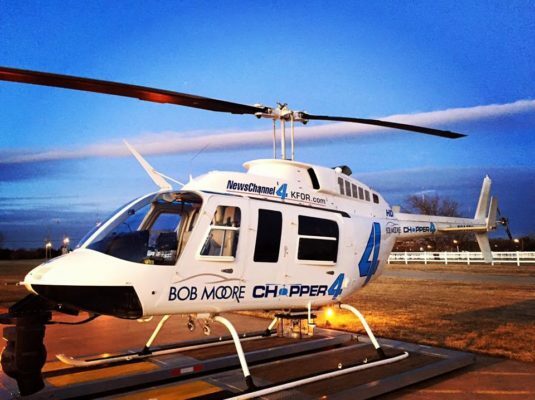 Earlier this year, we broke the news that Bob Moore respectfully dropped their sponsorship of KFOR Chopper 4 – the flagship vessel of Mike Morgan’s weather chasing cavalry. Air Comfort Solutions has signed on as Chopper 4’s new sponsor. Native Oklahomans, like Jason White, know the importance of having a helicopter carefully monitoring a storm. “I’ve been in a couple of big tornadoes, not actually in them, but very close and to see the disaster and to know that Chopper 4 is out there and letting people know to take cover, things like that, that is a great thing to be a part of,” White said. Yep, that’s right. Air Comfort Solutions. I guess this explains why the company repeatedly turned down our offer to be the presenting sponsor of TLO’s new weather-chasing drone – Ogle Eagle 5000. Oklahoma's Jason White won the #HeismanTrophy on Dec. 13, 2003. Trust me on this – ad salesmen tend to be beggars and not choosers, but this is an interesting decision by KFOR. As you may know, Lord Gary England is a spokesman for Air Comfort Solutions. As you may also know, Gary and Mike Morgan aren’t the best of friends. They have a rivalry that dates all the way back to the Severe Weather Civil War of the 1970s, when a young Mike watched helplessly as his mentor and sensei, Ross Dixon, was struck down by a freezing lighting arrow cast from Gary’s bow. Neither Ross nor Mike were the same after. In fact, I wonder how Mike feels about this? He has to be a bit concerned. Not only is Gary leaching closer to his lair, but Air Comfort Solutions Chopper Four doesn’t exactly roll off the tongue. 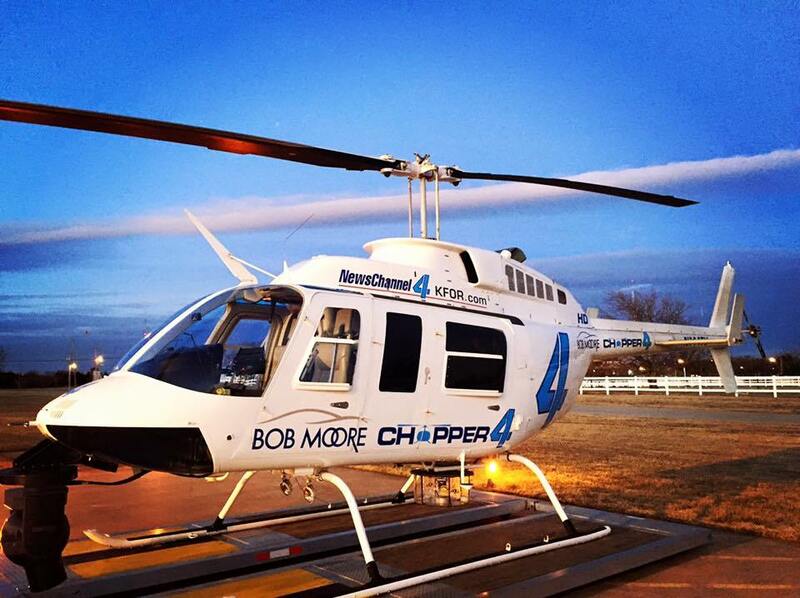 Also, how long do you think it will take for Mike to get Bob Moore Chopper 4 out of his head? I think he still calls his other storm chasers David Payne. I bet he gets the name wrong a dozen times during the first tornado genesis of the spring. Remember, when you get a new overpriced heat and air system installed by Air Comfort Solutions, you get a free Jason White autographed football. While at KXY I had the displeasure of running Gary’s weather alerts at night. I HAD to listen to him in our “cue” speaker so I could cut to him at a moment’s notice. I wish I had recorded the comments he made to his studio weather crew (forgetting I was listening in) about what he thought of Mike Morgan. You’re right, no love lost between those two. Ross Dixon and I are close friends, so thanks for mentioning him. No theatrics, just the weather! Thaank you Ross. I quit watching Channel 9 news after working with Gary and never watched it again while he was on. What a Diva. I know most people love him, but I sure as hell don’t. People forget he was known to those who knew him as SCARY GARY. In the late 1970’s Gary was also working the neighborhoods selling Amway subscriptions…not the products. So KFOR will be using the Air Comfort Solutions Chopper to track air discomfort. I’ll bet there’s a lot of air circulation in them pants. I remember last year Mike Morgan couldn’t stop calling Aaron Bracket, Aaron Tuttle. LOL! I was thinking it would be Mattresses and Furniture Chopper 4. I think they lost him over a few bucks.